Home News > Al Falah University Celebrates Saudi National Day! 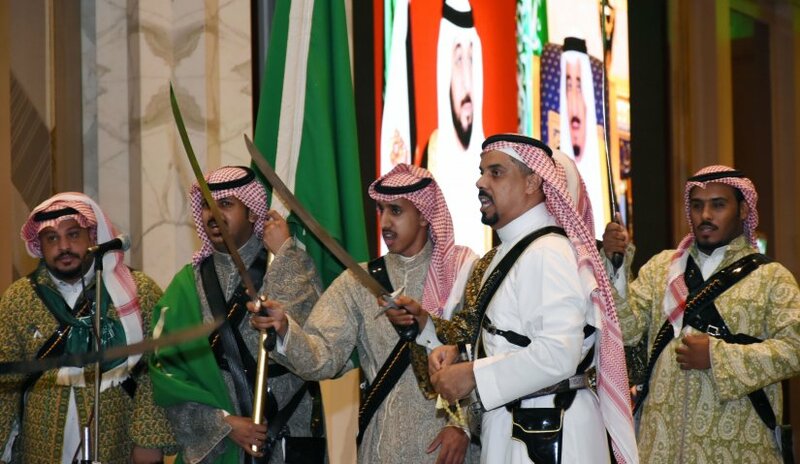 Al Falah University joined in the celebration of the 87th Saudi National Day yesterday organized by the Saudi Cultural Attaché in Dubai under the slogan "Raise the banner of unification and the Kingdom in our hearts". The Ambassador of the Kingdom of Saudi Arabia in the UAE, Dr. Mohammed bin Abdulrahman, in addition to the cultural mover, Mr. Mus'ad Al-Jarrah, and a number of academics, artists and writers attended the ceremony. Al Falah University's administration encouraged the participation of its Saudi students in this event, which reflects the depth and strength of the UAE-KSA relations. His Highness Sheikh Mohammed bin Rashid Al Maktoum, Vice-President and Prime Minister of the UAE and Ruler of Dubai also reiterated the strong relationship between the two countries when he said "celebrating the Saudi National Day is a celebration for Emiratis."